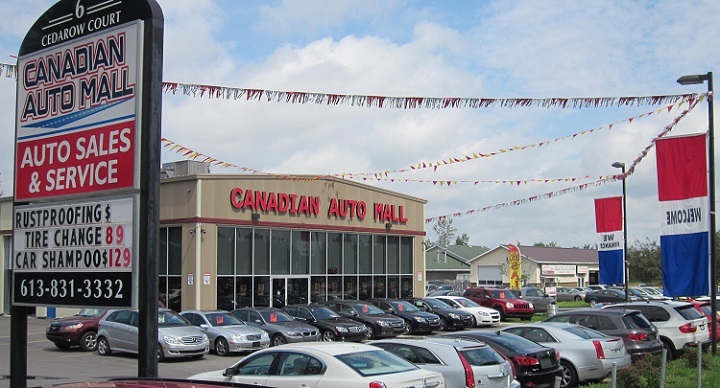 Welcome to Canadian Auto Mall, your one-stop used car dealer in Ottawa and surrounding areas. We sell quality used cars in Ottawa and provide full financing solutions for all credit situations. 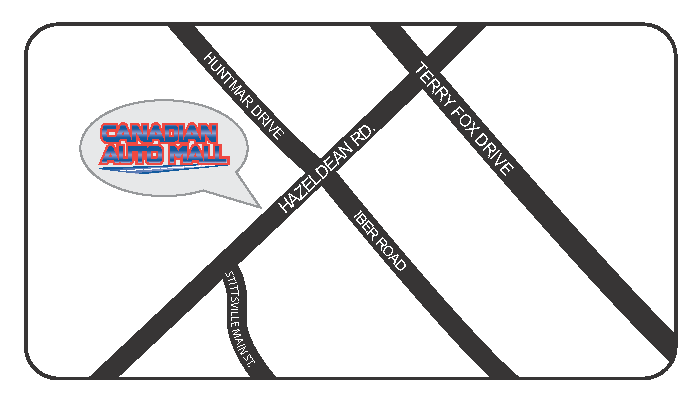 Our used car dealership is located in the west side of the city in the Kanata/Stittsville area at the corner of Hazeldean and Cedarow Court. Canadian Auto Mall stands out in the Ottawa used car market by providing each customer outstanding service both before and after used vehicle sale. Our on-spot service centre ensures that your vehicle is in exceptional condition upon delivery to you, and our financial experts are always on site to offer you used car loans from 4.95%, the lowest rate in the Ottawa used car market. There are many dealers in the used cars Ottawa market, but you'll find that once you stop here, you won't need to look any further. Canadian Auto Mall has established its name in the Used Cars Ottawa market by creating a clean, professional, and high quality environment while also providing the lowest prices. All used cars are picked up by the owners themselves and inspected thoroughly before being offered to the used cars Ottawa market. If you are looking for a quality used car, or require service to your car, or financing, or vehicle safety call us at 613-831-3332. Click on inventory to see used cars for sale in Ottawa, Ontario.